I recently purchased a second hand PC, that it came with Windows 7 preinstalled. I have already upgrade the OS in my laptop from Windows 8 to Windows 10 and I am quite used to Windows 10 features, especially the mouse scroll feature that doesn’t require the windows to be on focus. This feature is not available in Windows 7 which really bother me dealing with multi windows. I’ve recently started to use Apple Wireless (bluetooth) keyboard and it is really a very great keyboard (more info here). I felt like I can type faster and more accurate using this keyboard. The only downside of this keyboard is the lack of dedicated Delete key. To execute a Delete, I will need to press fn + delete key. Other than that, the main problem of using Bluetooth keyboard and having dual boot Windows 7 and Ubuntu 14.04 is that I will need to re-pair the bluetooth keyboard everytime I switch from one OS to another. The reason behind this is that the device actually create a unique key (store in both the OS and the Keyboard) every time it pair with an OS, but when the OS is being switch to another one, the unique key doesn’t match because the stored unique key on the keyboard is meant for the previous OS. Just install any of this you will get windows 7 start menu back on windows 8. Furthermore all of these are free licensed. Do you use the Calculator in your Microsoft PC a lot? Me myself, do use that Calculator application quite often, mostly when I can’t find my scientific calculator, that my desk is so messy until I can’t reach the calculator even though it is on my desk (WOW). So, the story today is about a little error in Microsoft Windows Calculator. Please watch the video to understand more about the error, and you can try it on your own in your own PC. Recently, Ubuntu just launch their perfect 10 edition, version 10.10 at 10/10/2010. I am not an Ubuntu user, but feels like want to try out the latest version of the Perfect 10. Under this guide, I am going to show the step by step in installing the Perfect 10 edition. Just found a nice page: http://gnoted.com/70-fantastic-windows-7-tips-tricks-for-better-functionality/ where you can find lots of tips and tricks for Windows 7, and one of them looks very interesting. 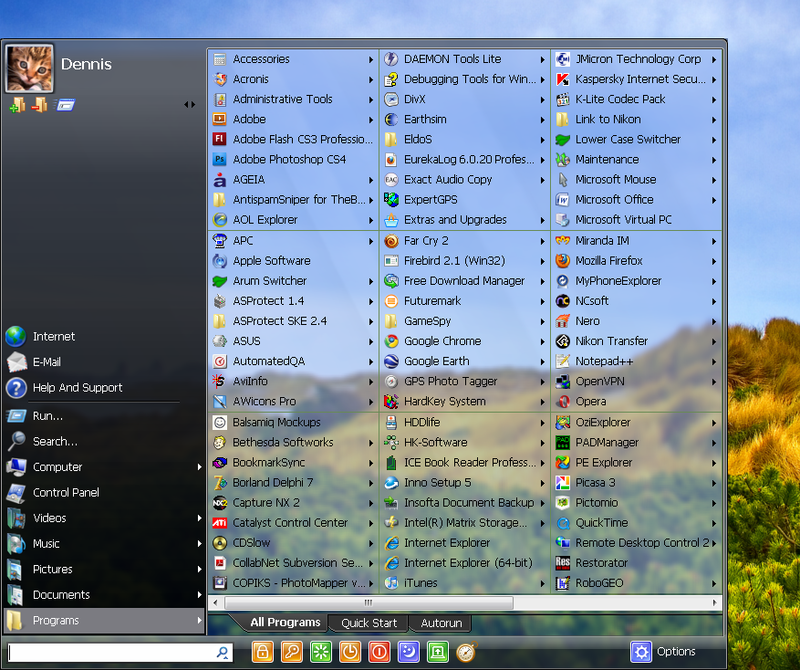 I believe most of the Windows 7 user do have program pinned to the taskbar, and for me, I have Windows Media Player (music), Google Mail (email), and Google Chrome (internet browser). On the previous post, “Display a Webpage on Your Desktop (Window XP)”, I had show you how to display a webpage on your desktop using Active Desktop feature under Window XP. 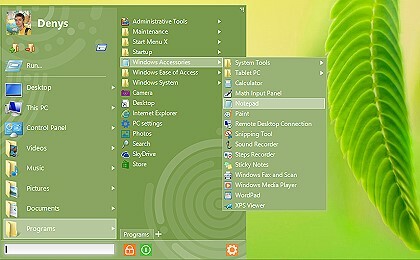 For Window Vista and Window 7, Microsoft has remove this feature, and replace it by Desktop Sidebar Gadget. Therefore, to display a webpage on your Window Vista or Window 7 desktop, you will need to use this gadget called ActiveDesktop. You can get the gadget at the ActiveDesktop page, or download it from the end of this post. On this article, I will show a step by step guide to display a webpage on your desktop (only for Window XP).